Remember the most exciting moments of your fishing trip with this Grand Action Bass Trophy! 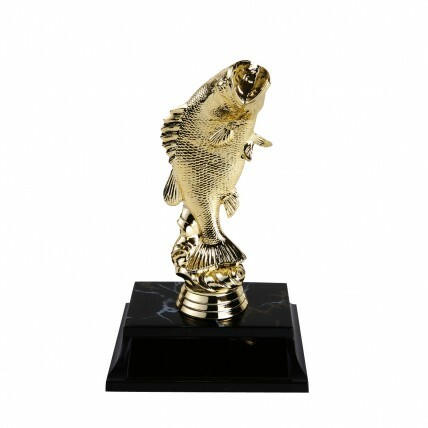 This gold tone trophy features a giant bass in an action pose on a black simulated marble base. Give your special fisherman this awesome reminder of a great trip today!